There are many examples of the significant relationship between sleep and epilepsy. Commonly encountered examples include seizures provoked by sleep deprivation, the tendency for frontal lobe seizures to occur out of sleep, and specific disorders such as benign rolandic epilepsy. Obstructive sleep apnea (OSA) often co-occurs in patients with epilepsy, and the effects of both conditions can affect each other in a bidirectional manner. OSA is defined by repetitive collapses of the upper airway (apneas and hypopneas) that cause arousals, sleep fragmentation, and oxygen desaturations.1 Intermittent hypoxia increases sympathetic tone, endothelial dysfunction, and inflammation. Arousals and sleep instability induce sympathetic activity and reversal of the normal drop in blood pressure during sleep. Sleep fragmentation induces metabolic dysregulation with alterations in glucose metabolism and orexin and gherlin levels. There are few studies examining the effect of continuous positive airway pressure (CPAP) treatment on epilepsy. A small study of 9 adults with refractory epilepsy evaluated interictal discharges (IEDs) and found that more severe OSA correlated with higher spike rates, and treatment of OSA resulted in decreased IEDs during waking and during non-REM sleep, improved sleep architecture, and decreased seizures.3,7 Another study of 6 patients with refractory epilepsy found that all had improved seizure frequency (1.31 ±0.39 reduced to 0.15 ±0.15 seizures per month, P = .02) after becoming adherent to therapy with CPAP.9 In a study of 132 patients, 76 (57%) had OSA, 43 (56.6%) of those with OSA were on positive airway pressure (PAP) therapy, and 83.7% of those patients were adherent for ≥4 hours on at least 5 nights per week. In 84% of the PAP-treated patients with OSA, there was ≥50% seizure reduction or freedom from seizures compared to a 54% seizure reduction in the non-OSA group and 39.4% of the untreated OSA group. Overall, 35% of patients with PAP-treated OSA became seizure free compared to 10% of patients with untreated OSA.3 Although these studies are suggestive, the small sizes and nonrandomized, retrospective nature of the studies make it possible that the same factors that make a patient more likely to be adherent with CPAP also decrease the likelihood of recurrent seizure. Currently, screening for OSA and other sleep disorders in general neurology and epilepsy clinics is often suboptimal. The Epworth Sleepiness Scale that has traditionally been used as a screening tool is less effective in screening in patients with epilepsy.2 A quality improvement project that evaluated screening for sleep habits in patients with epilepsy reported baseline screening was approximately 3.3%.1 Following their intervention using their STOP BANG tool, which measures snoring, tiredness during daytime, observed apnea, high blood pressure, body mass index >30, age, neck circumference ≥17 inches in men and ≥16 inches in women, and gender, 41.6% of patients with epilepsy were screened for sleep disorders. Of those screened, 31.2% met criteria for increased risk of OSA.1 This suggests that STOP BANG may be an effective tool for screening for sleep problems in patients with epilepsy, but more research is needed. Taking a detailed sleep history that includes other common symptoms of OSA including multiple awakenings at night, nocturia, gasping or choking, witnessed apneas, unrefreshing sleep, physical signs, hypertension, craniofacial abnormalities, macroglossia, retrognathia, micrognathia, narrow upper airway, tonsillar hypertrophy, and long or edematous uvula may also be helpful in screening for an increased risk of OSA. It is necessary to consider the possibility of a comorbid sleep disorder in patients with epilepsy. Both clinicians and patients have a tendency to attribute sleepiness to antiepileptic drug effect. Although antiepileptic drugs do commonly cause sedation, other etiologies, particularly OSA along with other sleep disorders, should also be considered. Proper diagnosis and management of sleep disorders are important for seizure control as well as improvement in quality of life and prevention of further morbidity and mortality. While some studies suggest that treatment of OSA with CPAP may reduce seizure frequency in patients with epilepsy, larger randomized studies are needed. Finally, although recent investigations have shed some light on interactions between OSA and epilepsy, more research is needed to provide guidance in optimal screening, evaluation, and management. 1. Sharma A, Molano J, Moseley BD. The STOP BANG questionnaire improves the detection of epilepsy patients at risk for obstructive sleep apnea. Epilepsy Res. 2017;129:37-40. 2. Pornsriniyom D, Kim HW, Bena J, et al. Effect of positive airway pressure therapy on seizure control in patients with epilepsy and obstructive sleep apnea. Epilepsy Behav. 2014;37:270-275. 3. Pornsriniyom D, Shinlapawittayatorn K, Fong J, Andrews ND, Foldvary-Schaefer N. Continuous positive airway pressure therapy for obstructive sleep apnea reduces interictal epileptiform discharges in adults with epilepsy. Epilepsy Behav. 2014;37:171-174. 4. Lin Z, Si Q, Xiaoyi Z. Obstructive sleep apnoea in patients with epilepsy: a meta analysis. Sleep Breath. 2017;21(2):263-270. 5. Duce B, Milosavljevic J, Hukins C. The 2012 AASM Respiratory Event Criteria increase the incidence of hypopneas in an adult sleep center population. J Clin Sleep Med. 2015;11:1425-1431. 6. 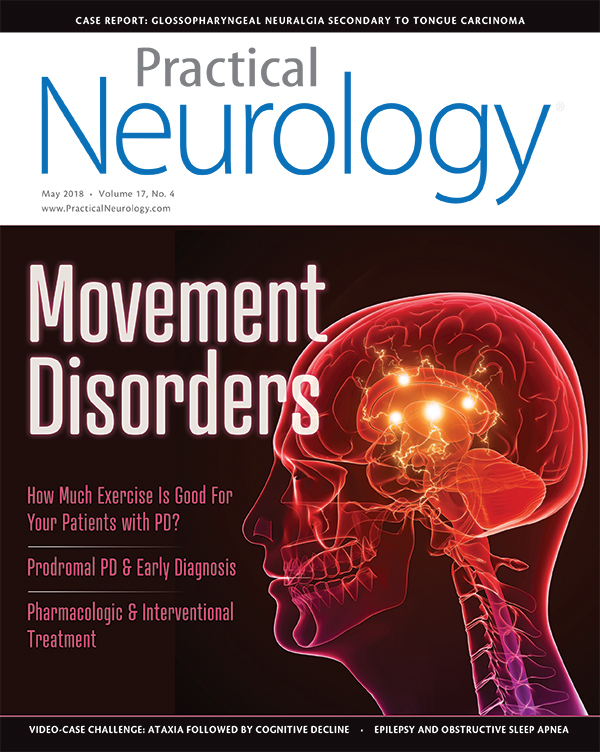 Foldvary-Schaefer N, Grigg-Damberger M. Primary sleep disorders in people with epilepsy: what we know, don’t know, and need to know. J Clin Neurophysiol. 2006;23(1):4-20. 7. Sivathamboo, S, Perucca P, Velakoulis D, et al. Sleep disordered breathing in epilepsy: epidemiology, mechanisms and treatment. Sleep. 2018:published online January 31, 2018. 8. Hitomi T, Oga T, Tsuboi T, et al. Transient increase in epileptiform discharges after the introduction of nasal continuous positive airway pressure in a patient with obstructive sleep apnea and epilepsy. Intern Med. 2012;51(17):2453-2456. 9. Li P, Ghadersohi S, Jafari B, Teter B, Sazgar M. Characteristics of refractory vs. medically controlled epilepsy patients with obstructive sleep apnea and their response to CPAP treatment. Seizure. 2012;21(9):717-721.